Game Pantheon for iPhone and iPad. 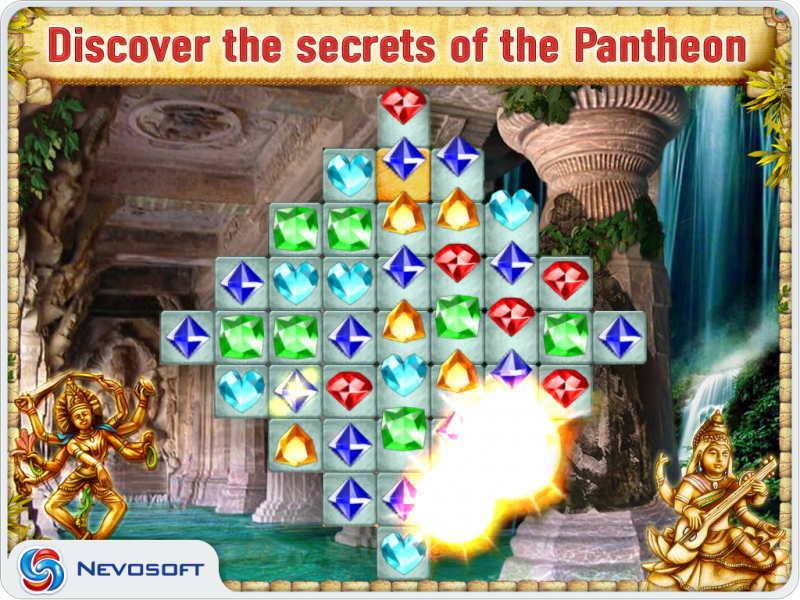 Download game Pantheon for iPhone and iPad for free at Nevosoft.Com. Description, walkthough of Pantheon for iPhone and iPad, buy game. You have to go to the Himalayas to search for the mythical Pantheon. 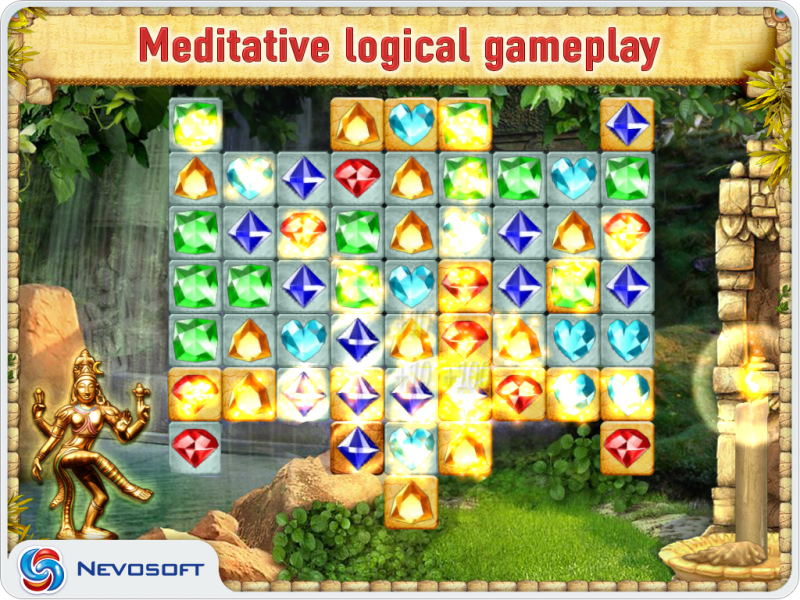 At each level you will find a new riddle including precious stones. 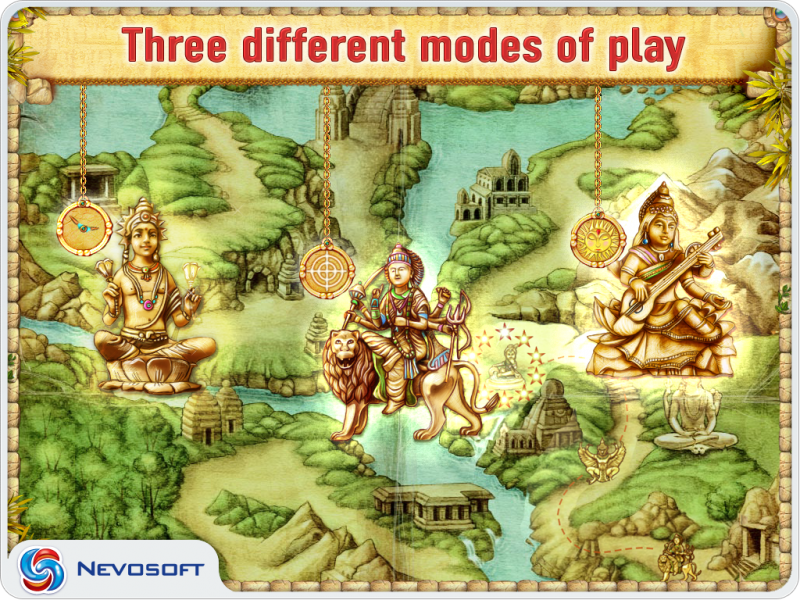 The ancient magic of Indian gods is concealed in these games. To release their magical power, click on groups of two or more identical gems. 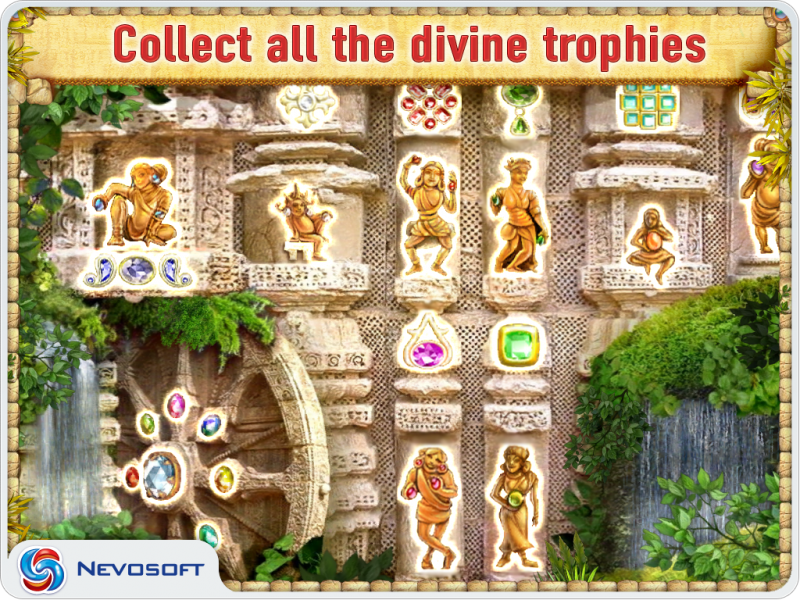 Depending on the number of gems in the group, you can get one of many divine bonuses or unique trophies for certain combinations. Addictive logical gameplay: easy to start but hard to stop! 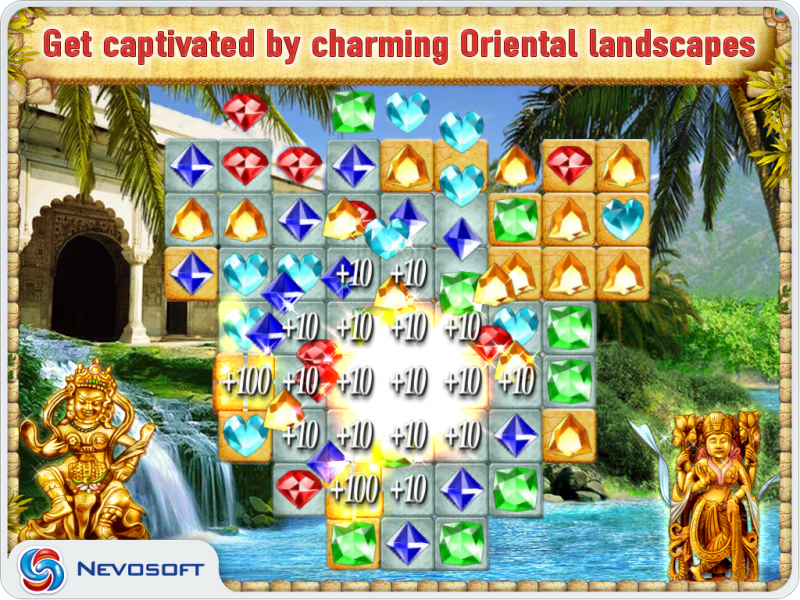 Lots of bonuses will help you to pass even the most difficult level! Good luck, and let all the secrets of the Pantheon be known to you! Languages: English, Dutch, French, German, Italian, Portuguese, Russian, Spanish, Swedish.